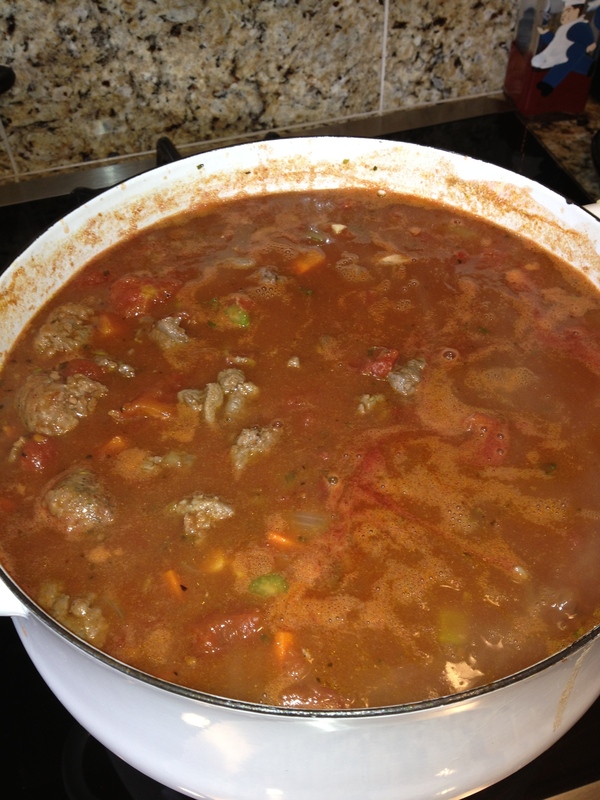 I have lots of ingredients in this soup but once they all simmer for a few hours, they create a hearty winter stew. I used the stove top for this recipe, but you could adapt it to the crockpot by cooking everything except the barley, potatoes, frozen vegetables and kale on low heat 4-5 hours, then add the barley for another 2 hours (stir occasionally), then turn up the heat to high and add the potatoes, frozen vegetables and kale until cooked through, about 20 minutes. Once the Meat is browned, I transfer it to a bowl, and then add the onion, carrot, celery, and leek to the pot and brown them for about 5 minutes. 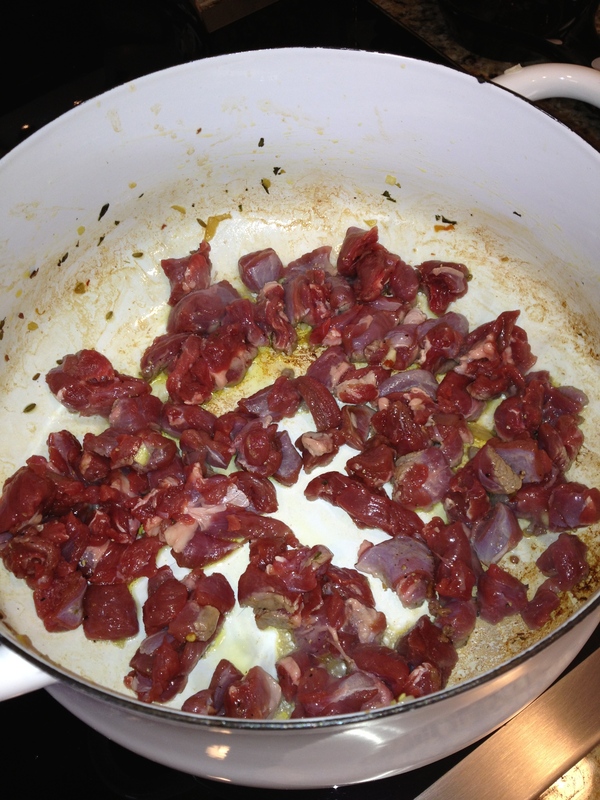 Then I add the meat back to the pot along with the anchovy paste, tomato paste, crushed tomatoes, garlic cloves, garlic powder, onion powder, fresh thyme leaves, bay leaves, salt and pepper, venison stock (or beef stock), and red wine. I bring it just to a boil then turn it down to low heat, and simmer, partially covered for about 2-3 hours, stirring occasionally. Once the venison is becoming tender, I add the pearl barley and simmer another 1-2 hours, stirring occasionally, so the barley doesn’t clump up or stick to the bottom. Once the barley is cooked, I add the cut potatoes, frozen vegetables and kale. Then turn up the heat to medium-high until the potatoes are just fork tender. I serve the stew with fresh homemade bread, and a bit of horseradish mixed with a couple tablespoons of whipping cream as a topping. Keep in mind that the broth seems like a lot at first, but the pearl barley will soak up a lot of it and it will thicken as the barley cooks.